The World Monuments Fund has announced its 2010 “watch list”, and two sites from here in New Orleans have made the list. The first is St. Louis Cemetery No. 2, and the modern glass and steel Phillis Wheatley Elementary School. 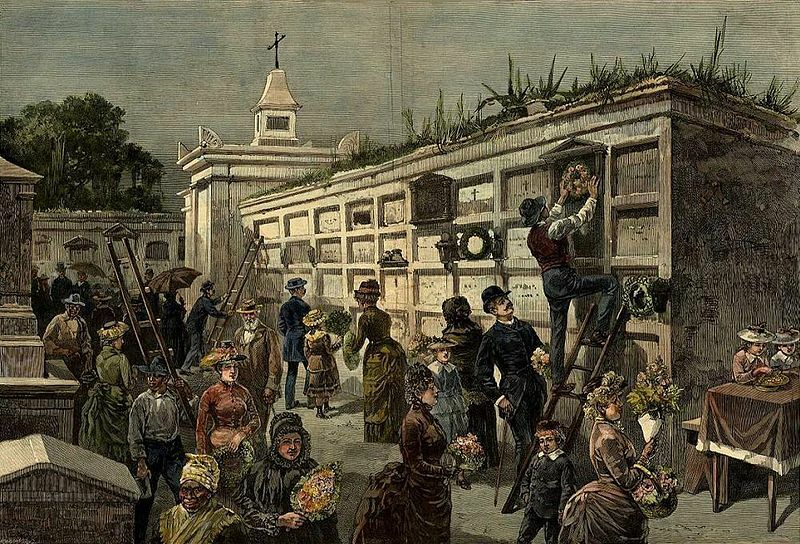 St. Louis Cemetery was opened in 1823. The tombs are above ground—a necessity because of the ground water levels, and in keeping with French and Spanish tradition. It was created by and for the city’s “free people of color.” St. Louis #2 contains the remains of some of the earliest and jazz and blues musicians, including Danny Barker. It was listed in the National Register of Historic Places in 1975. It contains some remarkable examples of cemetery art, and Creole history. The cemetery is at risk from vandalism, water lines from the flooding during Hurricane Katrina, and neglect. These New Orleans sites join the ranks of Herat in Afghanistan, the Sagrada Familia in Barcelona, Machu Picchu, Taos in New Mexico, and Frank Lloyd Wright’s Taliesin homes in Wisconsin and Arizona.